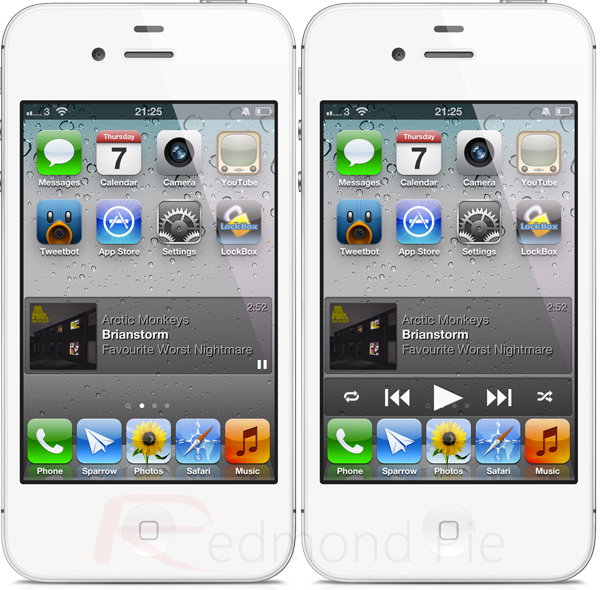 With Apple being largely responsible for reinvigorating the music industry at the turn of the century and introducing the world to digital downloads, it shouldn’t really come as a surprise that devices such as the iPhone, iPad and iPod touch are so popular for consumers who are looking for a rich music and media playback experience. With Apple shipping iOS devices with a stock Music app, users have the option to play music through the said app, but that is pretty much as far as it goes without installing additional applications from the App Store. Thankfully, the jailbreak community has a fairly impressive tweak that helps with that, which comes in the form of Jukebox. 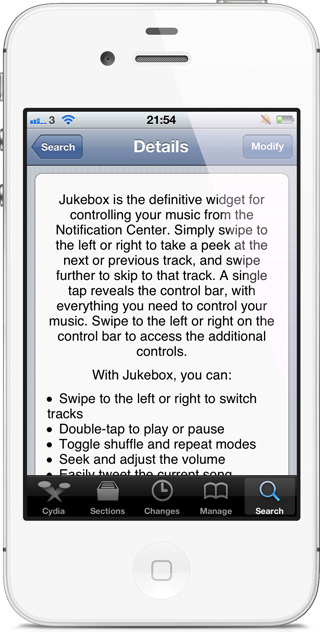 Jukebox is a package that is intended by design to be used as a widget within Notification Center, but as we all know, the Dashboard X package immediately breathes new life into all Notification Center-based widgets by allowing them to be used out of their comfort zone on the device’s home screen. So what exactly does Jukebox do? The tweak extensively hooks into the music experience to make things a lot easier for users by giving control over musical playback through Notification Center and the home screen. When a song is playing through the Music app, Jukebox brings the ability to use left or right swipe gestures to view the next track with the user being able to swipe one more time to begin playback of the next or the previous track. A double tap gesture acts as the play and pause button, with toggle and shuffle options also being available to the user. Perhaps one of the best features of the package is the social integration, with Twitter sharing being available at any given moment, incase the user wishes to share their currently playing track with the world. Finally, tapping and holding the widget quickly and efficiently opens up the Music app. With plans to support third-party music apps in a future update of the package, Jukebox is a very impressive tweak that looks simply gorgeous on a jailbroken iPad when used in conjunction with Dashboard X.
Jukebox is available to download for $0.99 from the ModMyi repository and requires a jailbroken device running iOS 5 or above. For those who intend to use the tweak on the device home screen, Dashboard X must also be purchased from Cydia.